Molly just loves pecans -- to play with, not to eat. I've got pecans all over the house now. You can't play with just one! (Notice she's already pulled one out and is looking for another. Cats!!!) 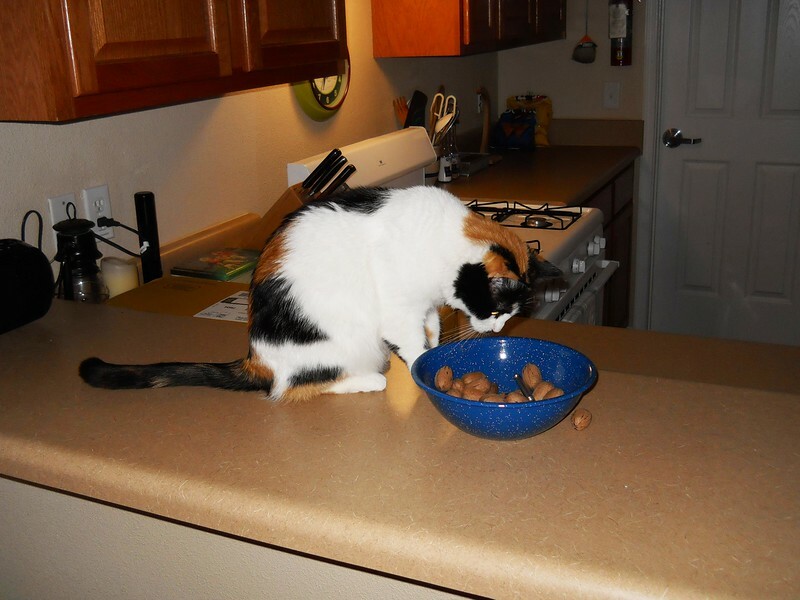 There's nothing like the sound of a cat chasing a pecan around the house. It makes such an intriguing noise, especially off the baseboards.